Could this possibly be a new case in the hugely popular enthusiast Cosmos line up? We sure hope so! We’ve also heard that it’s the “Master Concept”, a concept case in the Master Case lineup… time will tell, we suppose, but sure would like to see a new Cosmos… how about you? On display were also some new watercooling components from Cooler Master, including radiators, reservoirs, and even their own pump. Upon looking closer at the new pump from Cooler Master, it looks like it can have either fittings or a reservoir tube added to it. We’ll have to get confirmation from the CES Munkys once they return, but that is a pretty clever idea! Also, what have we here… threaded acrylic tubing? Where have we seen this before at the zoo? Yeah, we know those are just anti-cyclone tubes intended for inside the reservoir, but we couldn’t resist! 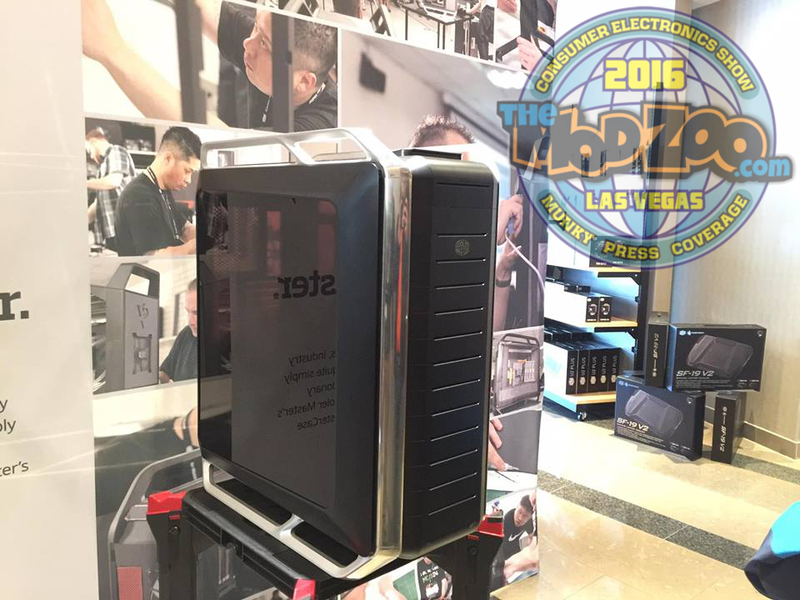 Be sure to check back for further coverage from The Mod Zoo at CES 2016!